In this detailed Resource page, we feature an abundance of Spring Batch Tutorials! 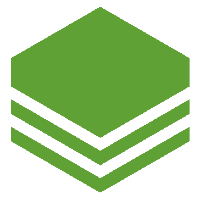 Spring Batch is an open source framework for batch processing. It is a lightweight, comprehensive solution designed to enable the development of robust batch applications, which are often found in modern enterprise systems. Spring Batch builds upon the POJO-based development approach of the Spring Framework. Spring Batch is part of the Spring Portfolio. 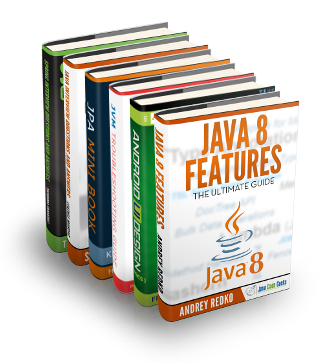 If you wish to build up your Spring Batch knowledge first, check out our Java Batch Tutorial. In this article we present a simple example of using Spring Batch Scheduler. We will demonstrate how to configure a job and then trigger it periodically using the Spring Batch Scheduler. This example will be based on XML configuration. In this article we will talk about the concept of Listeners as provided by the Spring Batch framework. Listeners are the entities that help to intercept the execution of a Job or a Step and allow the user to perform some functionality. In this article, we will discuss one such approach that is by Partitioning a Step. It will be driven by an XML based example code. In this article we are going to present an example that demonstrates the working of Spring Batch Tasklet. We will configure a Spring Batch job that reads data from a CSV file into an HSQL database table and then in the Tasklet make a query into the table. In this example we are going to demonstrate an ETL use case leveraging the advantages of Spring Batch. In this article we will talk about parallel processing in Spring Batch. We will use Spring Boot to speed our development process. In this article we shall show you how you can pass job parameters to a spring batch job. In this post, we will create a simple Spring batch tutorial to read the data from the CSV to an XML file. In this article, we are going to show you Spring batch multithreading feature. In this article, we are going to show you Spring batch exception handling, No job is perfect! Errors happen. In this article we present an example of setting up a Spring Batch Job that reads data from a CSV file and writes them to an XML file. We will use Spring’s JobLauncherTestUtils to fire the job. In this article we will talk about the various Item Readers and Item Writers in Spring Batch. We will use Spring Boot to speed our development process. In this article we will talk about Spring Batch and running the jobs with CommandLineJobRunner. We will use Spring Boot to speed our development process. In this article we will talk about Spring Batch with JMSItemReader. We will use Spring Boot to speed our development process. In this article we will discuss the concept of a JobRepository used in the Spring Batch framework. It is an interface with SimpleJobRepository being its simplest implementation floated by the framework. In this article we are going to show you how to run Spring Batch using Quartz. In this article we present an example of scheduling a Spring Batch job to run with a Quartz scheduler. This will be a simple job that executes a Tasklet. We will use an HSQL(which is an in-memory) database table. In this article we will talk about Spring Batch with Hibernate. We will use Spring Boot to speed our development process.